We spent around 3 hours in Singapore Science Centre. After taking a few of photos outside Singapore Science Centre, we took a taxi and heading to Singapore City. We alighted in front of People's Park Complex. I had been to People's Park Complex when I was working in Singapore for few months in 1973. 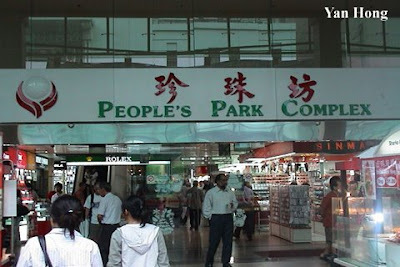 People's Park Complex was a popular shopping centre as well as famous landmark in 1970's. 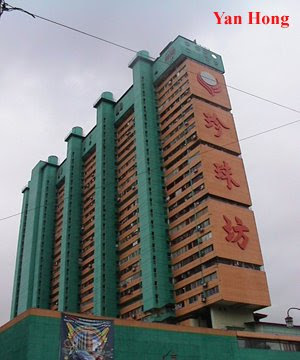 With more giant skyscrapers and shopping malls rising up, People's Park Complex has lost its cutting edge. 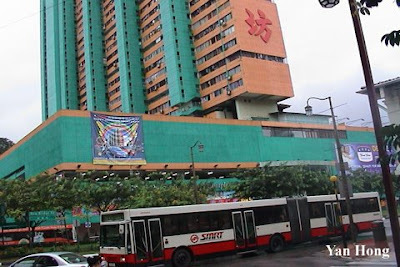 People's Park Complex is located in Singapore Chinatown along Eu Tong Sen Street. The lower part of the building is for shopping outlets and the upper block for residential usage. There are variety of retail shops in People's Park Complex. Besides retail shops, there are many travel agencies in People's Park Complex. Remember to bargain for the items that you wish to buy and bring back your sweet memories.